One of the additions at the new spot is a $19 burger called The Second Mortgage. Burger and shawarma restaurant Layla opened its second location, in Webster Groves, on Monday, in the space that formerly housed Milagro Modern Mexican. The restaurant will serve a largely similar menu to the original location in The Grove but with an expanded wine list, new cocktails, and a few fresh dishes. The menu at the Webster Groves location is largely carried over from The Grove: beef burgers based on Layla’s blend of brisket, chuck, and short rib; poultry burgers and meat-free burgers; shawarmas and salads. Each location will have a few unique items, though. Firenza Pizza opened its doors at 20 Allen Ave. this week, the first of five locations this couple plans to bring to St. Louis. When Steve Imrie and his wife, Dahra, first visited Firenza Pizza in Virginia, he was skeptical about bringing the fast-casual franchise concept to St. Louis. Firenza Pizza opened its doors at 20 Allen Ave. this week, the first of five locations the couple plans to bring to St. Louis. SanSai Japanese Grill occupied the space prior to Firenza. The 3,000-square-foot space can accommodate about 50 guests and will also serve Ziggy’s Frozen Treats, which include gelato and custard. Imrie has already hired 18 people to staff the restaurant and is looking to hire additional help in the coming weeks. A patio with additional seating will open during the warmer months, Imrie said. He declined to share investment costs for the space. Pernikoff Construction Co. served as the general contractor and Nick Adams of Mademan Design served as the architect. Novus Webster lLC, tied to Novus Cos., owns the property, which has an appraised value of $5.4 million. Imrie said he is aware that the fast-casual pizza concept has been popular in St. Louis, but he is confident that the quality of Firenza Pizza will stand out among the others. He stated that the brand uses a unique dough, which uses Italian flour and is made in the shop every morning. Imrie also stressed that all his other ingredients are clean and unique, and usually made in-house, like its pizza sauce. The duo is so confident the concept will thrive in St. Louis that they purchased up to five locations through the franchise. Imrie said they haven’t decided on other locations but hope to develop sites in west and south counties of St. Louis. “We figured people will always want to eat pizza, and they like to eat well in this town,” Imrie said. Lucky’s Market plans to nearly double its store count from 28 locations to more than 40 within the next 18 to 24 months, announcing Monday that it signed 20 leases for new stores spanning from Montana to Florida. 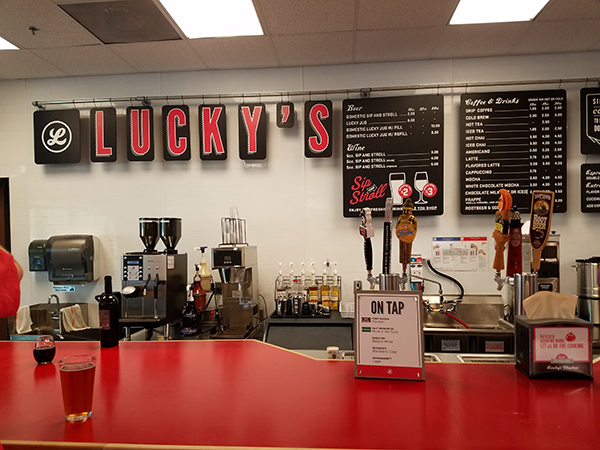 Beyond the 20 new leases, Boulder, Colo-based Lucky’s said it has letters of intent for another handful of stores, for which it will reveal specific locations as they become available. Buoyed by the success of its existing dozen locations in Florida, Lucky’s will open new stores in the Sunshine State in Oakleaf, Bonita Springs, Cape Coral, Naples, Fort Myers, Port Charlotte, Port St. Lucie, Boca Raton, Dania Beach, Cooper City, Hunters Creek, Orlando, Winter Park, Vineland, Colonial Landing and Lake Mary. 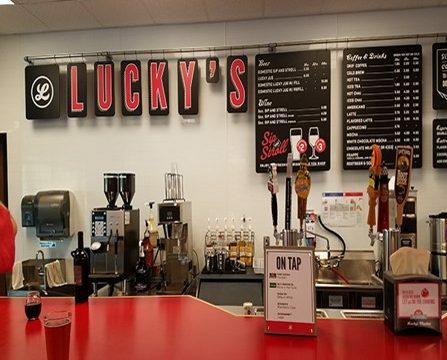 Lucky’s also has signed leases for new stores in Missoula, Mont. ; Cleveland; and Wheat Ridge and Fort Collins, Colo.
Lucky’s format includes a wide variety of specialties such as house-smoked bacon; housemade sausages; fresh seafood; a large selection of fresh, local produce; and in-store bakeries. Lucky’s meat departments feature “never ever” meats, which have never been treated with antibiotics or artificial growth hormones, as well as fresh sushi, a hot ramen bar and cheese islands stocked with international selections. Its stores also include juice bars, bulk foods, apothecary departments, beer and wine, cafe seating and a unique “Sip ‘n Stroll” program where customers can grab a $2 pint of local beer or a $3 glass of wine to enhance their shopping experience. St. Louis Character: Jean Scholtes dishes the dirt on Kind Soap Co.
Jean Scholtes, founder of the Kind Soap Co.
Jean Scholtes, founder of the Kind Soap Co., said she became an entrepreneur out of necessity. Scholtes has a background in design and marketing, spending 10 years as creative director for Sara Lee before joining a local ad agency, doing work mainly focused on packaging design. However, when Anheuser-Busch was acquired by InBev, and took much of the brewery’s marketing work out of St. Louis, Scholtes was one of many working in the local industry who found themselves facing a future with much less demand for their services. Scholtes had been experimenting with formulating soaps and skin care products from all-natural ingredients, making up batches of products in her basement and selling them at local craft fairs. Scholtes registered the Kind trademark and launched the company in 2009, selling her all-natural skin care products online, at farmer’s markets and through other local stores. 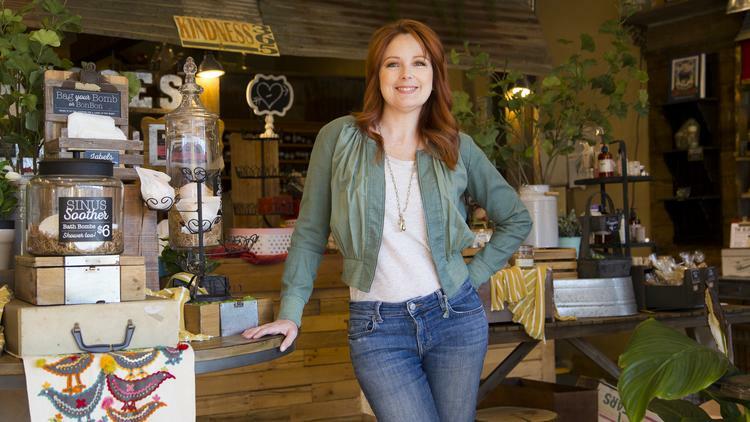 In 2011, she opened her first brick-and-mortar store in Webster Groves, and five years ago, she moved the store to its current larger location at 20 Allen Ave., in Webster Groves. 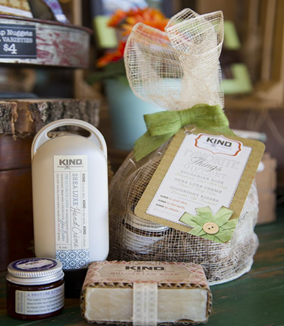 Kind Soap Co. now carries over 100 products, ranging from soaps and lotions to lip balm and bubble bath. Kind now carries more than 100 products, ranging from soaps and lotions to lip balm and bubble bath. In addition to the Kind boutique, the products are available at Whole Foods stores in St. Louis and Chicago and in a variety of mom-and-pop stores in Missouri and Illinois. The company had about $250,000 in sales last year, with about 75 percent coming from retail and 25 percent from wholesale. Scholtes said the company now is looking to increase production to allow it to expand its wholesale accounts. Scholtes lives in Webster Groves with her husband, Jeff, and their four teenage children. What is the Kind Soap Co.? Kind Soap is what I created initially to have products for myself and my family because my son had really bad eczema at the back of his knees and was always clawing at them, and doctors just kept giving him steroid creams. I started researching into what would be a better option than just steroids every day on a 4-year-old. Then I started realizing all these products out in the market that say that they are safe and natural and great for kids have all these ingredients in them that, after you research it, you don’t want to put them on your kids. I started looking into everything we put on our skin, and I saw all these harmful carcinogenic and hormone disrupters and irritants. I thought, I’m just going to make my own products. I threw away all of the our skin care products — all the things that were being absorbed into my family’s skin — and I started making my own. How did you go about making the products? My husband set me up a little workspace in the basement. I had a little sink, and I had a little hot plate. It was basically cooking. There are ingredients. There are things that you melt. There are things that you boil. You follow recipes. I went on Amazon and bought like 20 books on how to make soap, how to make lotions, natural-this and ingredients-that. This was almost 10 years ago, so YouTube wasn’t really around that much. Now I would have been on YouTube 24/7 just watching tutorials, but back then I was reading books. It was just trial and error. Making up batches, and some things just did not work out and some things did. Did you go through any training? Being all natural, I didn’t use any synthetic fragrance, and everyone wants things that smell really good. So that’s when I really started looking at essential oils and natural fragrances, and I decided I really needed to get educated on that. I enrolled in courses with an online program through the American College of Healthcare Scientists out of Portland, Oregon, and it took me about three and a half years, but I got my certificate in aromatherapy, which means I am able to safely and effectively manufacture products with essential oils. I would say that was harder than my bachelor’s degree. It was intense. It was all about how the different chemicals affect different systems in your body. It was chemistry; it was physiology. It was a lot of work. Which Kind product is your favorite? That’s like asking which kid is my favorite. It depends on the day. Honestly, after all this stuff, my favorite is still just a good bar of soap. You’re a Missouri native? I’m from Ste. Genevieve. I went to college at SIU in Carbondale. My first job out of college was designing bikes in Olney, Illinois, which is a tiny little town in the middle of nowhere, and I really needed to get back to civilization, so I applied for jobs in St. Louis and got a job as an art director at a small agency and then from there I went on to Sara Lee. What do you do when you’re not working? I don’t have time for hobbies. I have four teenage kids, so when I’m not here I’m running them around to different things. I’m active with our trade association here in Webster. The Old Webster Trade Association puts on all kinds of trade events in town, and I do all of the graphics for them. Other than that, I am really kind of a homebody. I like to hang out with my dog. I like to read. What are you reading? “The Entrepreneur Mind: 100 Essential Beliefs, Characteristics, and Habits of Elite Entrepreneurs” by Kevin Johnson. Where can we find you? My husband and I spend a lot of time over at The Block restaurant. We call it our Cheers — we just go in and sit at the bar. I guess I’m Norm, and he’s Cliff. Sushi Station is another place we like to go and hang out, and Olive & Oak is great. ROCK HILL, MO – Our Mortgage team officially has their own footprint! 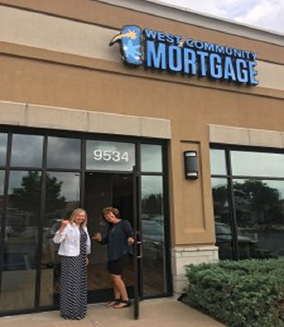 After years of getting members in the perfect mortgage for their perfect home from within the walls of the credit union, we are pleased to announce the expansion of our mortgage department into a brand new division, West Community Mortgage! This exciting development will give the mortgage team a brick-and-mortar space completely devoted to getting members into their dream homes. The office is located in Rock Hill off of Manchester and McKnight and will operate as a stand alone mortgage space for buying or refinancing home loans. With the mortgage division, not only can you visit any credit union branch for your mortgage needs, you can also apply online or stop by West Community Mortgage and meet with the mortgage team. “Our goal is to continue to provide our member’s with the great service we have become known for and giving borrowers, and Real Estate professionals an office that is completely dedicated to all of their mortgage financing needs,” remarked Denny. Whether you’re a first time buyer, buying your next home, or simply need to refinance, our West Community Mortgage team is ready to put you on the smartest path to home ownership. Schedule your no-obligation mortgage consultation today! Monday – Friday 10 a.m. -3 p.m. or by appointment. The readers have spoken. Chef of the Year Katie Collier’s restaurant, Katie’s Pizza & Pasta Osteria, is one of the hottest spots in town. She and her husband/business partner, Ted Collier, are poised to open a second location in Town & Country this summer and their meal kit company, Vero Pizza & Pasta, debuts this month. Here, Collier shared her unconventional childhood, love for Italian and plans for the future. Why focus on Italian food? What did your folks think about you dropping out? Where do you like to travel? “We use travel to discover and explore. We go places and try to get with nature and chill out and calm the brain. Usually I come back with great ideas and inspirations from that silence. Ted is an amazing fisherman, so we go to places that are fishing destinations and we fly-fish for hours and hours and days and days. That’s where I came up with Vero Pasto – walking down a river. We also love to go to cities and eat. We go to California a lot and travel the coast and eat at great restaurants like Osteria Mozza, Juniper & Ivy, République and In-N-Out Burger. What’s your guilty pleasure food? What are your favorite local restaurants? If you weren’t a chef, what would you do? There’s a new gathering place coming to Kirkwood. On December 15, the former Winfield’s Gathering Place (10312 Manchester, at Woodlawn) will open as Kirkwood Brewhouse, a neighborhood restaurant with a focus and vibe similar to Winfield’s: casual, affordable, and family-friendly. The interior has been softened and relaxed, according to general manager Mike Watry, former manager at Billy G’s and an alum of Miso on Meramec, ARAKA, and Lester’s in Chesterfield. On the walls, the color palate shifted toward warmer tones; the existing pale, reclaimed wood required no further warming. Come spring, Watry might well add “with a great patio.” The restaurant has already been given permission to reconfigure the area on the west side of the building and add 50 covered outdoor seats. Watry and owner Steve Stolze, a local attorney who recently sold The Side Bar downtown, wanted a “pub-plus” menu and enlisted Michael Eagen to lead the charge. Eagen is the former executive chef at recently shuttered Cardwell’s in Clayton. He’s also the older brother of Tim Eagen, the executive chef at Weber Grill Restaurant. Eagen has assembled a menu of American favorites and upgrades. Appetizers include three varieties of chicken wings (all with a boneless option), calamari “with fried sweet peppers mixed in,” and candied bacon. The kitchen came equipped with a premium Ole Hickory smoker, so Eagen’s smoked meat sampler is likely to be a big seller. Same goes for the jumbo smoked shrimp, which was a mainstay at Cardwell’s. Salads run the gamut from a Rich & Charlie’s-esque house salad to a spinach salad with smoked duck breast. Entrées will range from $15 to $23, with a 14-ounce strip steak served with truffle fries and a fresh vegetable on the higher end. Look for fresh seafood and a smoked pork loin chop, as well as comfort classics like meatloaf and a fried chicken cutlet. 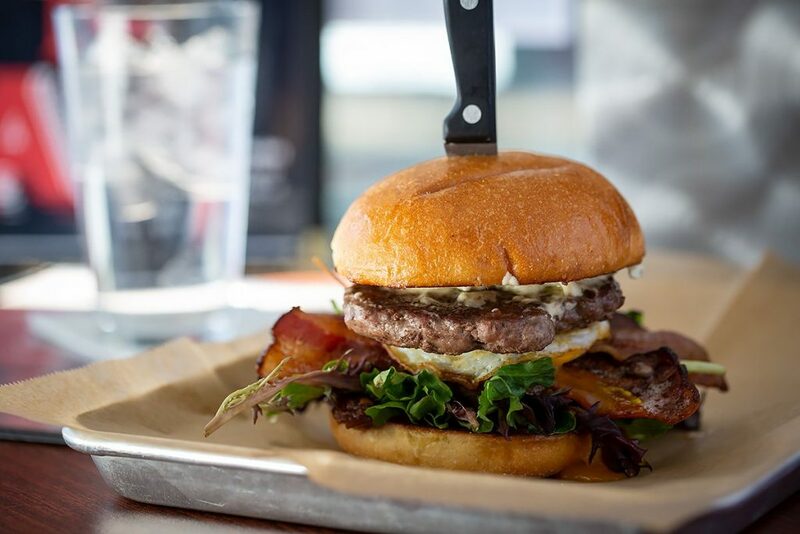 Eagen touts his scratch kitchen (“we have a Caesar dressing where you can actually taste the anchovy”) and half-pound grass-fed beef burgers, served “on Sheboygan hard rolls” (if they can be sourced), a Wisconsin-based product known for its thin, hard crust that doesn’t flake apart. 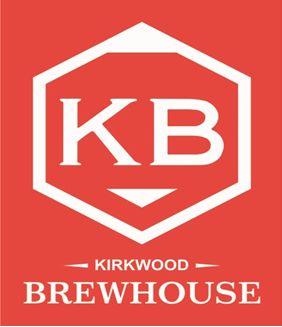 Kirkwood Brewhouse will open just before the onslaught of NCAA bowl games. Good call. First Music City, now River City. The Slider House, a gourmet slider restaurant based in Nashville, will open the doors to its first St. Louis-area location on March 6. The new restaurant is located at 9528 Manchester Road, in the former home of Altai Mongolian Grill and Baskin Robbin’s.